Staff at the Seton Center take inventory in this 2017 file photo. One in every five adults in the United States can’t afford to pay bills due at the end of the month, according to a 2018 report by Federal Reserve System. The report also found that 40 percent of Americans would have to borrow money, sell something or not be able to pay, if faced with an emergency expense of $400. Often to satisfy the unforeseen needs, people will leave “rent, mortgage and utility bills … at least partially unpaid,” according to the Federal Reserve survey. 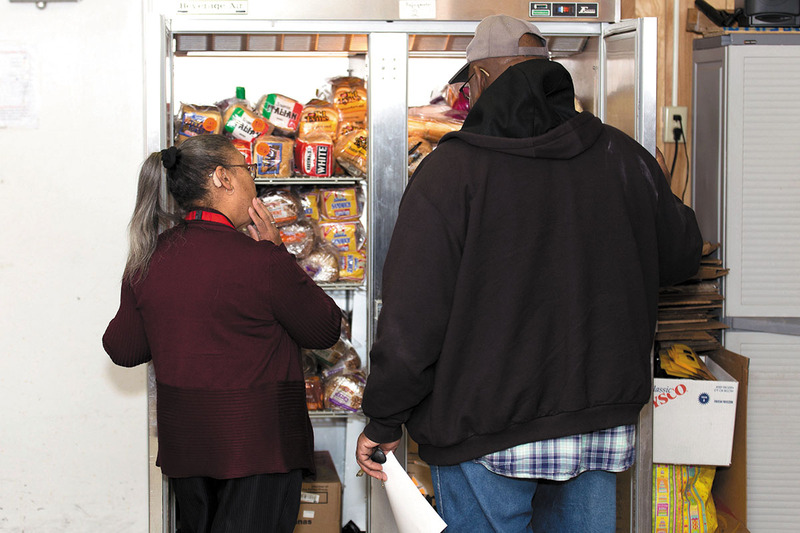 When such unexpected expenses lead to a rental crises, utility emergencies or food needs for many Americans, Catholic Charities in the Diocese of Wilmington offers Basic Needs services that help people resolve their crises and plan more secure futures. Last year, Catholic Charities’ Basic Needs Program helped more than 16,500 people in Delaware and on the Eastern Shore of Maryland’s nine counties. 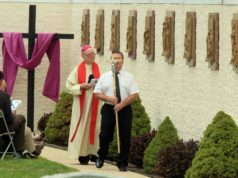 Catholic Charities’ Basic Needs service is just one of 37 diocesan programs helped by the Annual Catholic Appeal. 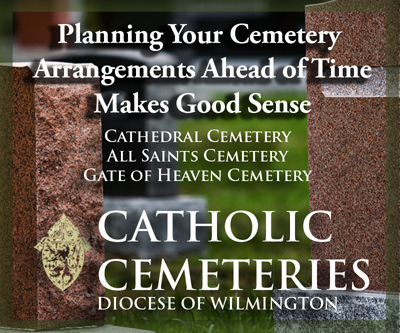 Parishioners who haven’t already committed to contribute to the Appeal can still obtain a pledge card through their parish, or pledge by going to the Appeal’s website at www.cdow.org/annualcatholicappeal or by calling the Diocese of Wilmington’s Development Office at 302-573-3120. That role of being a servant to others and helping neighbors in need is at the heart of Catholic Charities’ Basic Needs mission. The program serves the low-income community through rent, mortgage, utility and food assistance, thrift store services, budget counseling assistance and financial literacy help. Basic Needs case managers can also direct clients to other Catholic Charities programs, such as those addressing behavioral health, addiction recovery support and domestic violence services. 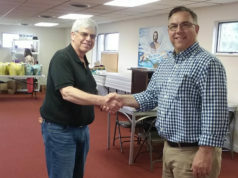 Dana Newman, Catholic Charities’ senior program manager for Basic Needs in Delaware, said most people contact Catholic Charities offices — in Wilmington, Dover, Georgetown and at Seton Center in Princess Anne, Md. — with one specific need. “Generally, people are coming here because they need utility assistance; they need rental assistance; they need permanent housing,” Newman said. If a client calls about paying a Delmarva bill, Newman said, “they make an appointment with a case manager, then they come in and we do an assessment. We talk to them about utility assistance. 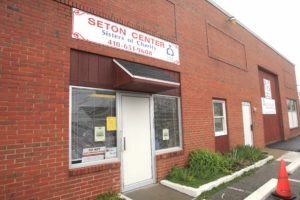 The same assessment of each client’s situation happens at Catholic Charities’ Seton Center in Princess Anne, Md., which provides social services on the Eastern Shore. Tyantha Giddens Randall, Catholic Charities’ program manager at Eastern Shore social services, has 20 years experience in social services, a master’s degree from Salisbury University and is a LCSW-C (licensed certified social worker-clinical) in Maryland. In the Princess Anne area, the number of people who need rental assistance “continues to grow,” Randall said. “We’re seeing a population of more homeless families than we’ve seen before, families living in their cars. We’ve been fortunate that in the past year in Somerset County we now have a local shelter, Lower Shore Shelter in Princess Anne,” where Seton Center can refer homeless cases. Homelessness is also a concern in Delaware, of course, and Newman, at Catholic Charities in Wilmington, said that 1 in 5 people in Delaware can’t afford to rent a moderately priced home. “There’s a greater rent problem in New Castle County,” he added. Helping people with such basic needs as shelter, food and utility bills is the main satisfaction Newman takes from his 35-year career in social work. Before starting at Catholic Charities last year, his career spanned working for Philadelphia’s Department of Human Services, youth advocacy, Lutheran Family Service and the Salvation Army. 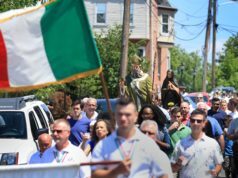 Newman, a Catholic who grew up one of 13 children in Gesu Parish in Philadelphia, credits his parents’ emphasis on education, family and serving others as inspiring his lifetime’s work. At Seton Center, Randall cited her experience growing up on the Virginia Eastern Shore in Accomac, where her family and Macedonia AME Church instilled the Christian values she brings to her life in social work helping the needy.